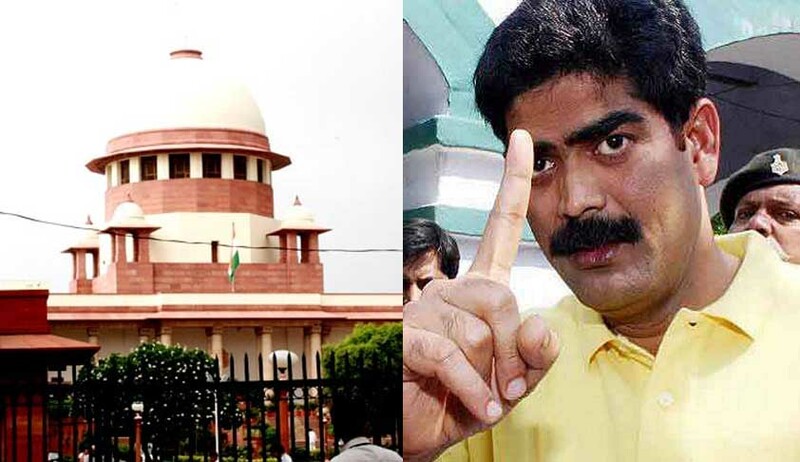 The Supreme Court on Wednesday ordered the transfer of Mohammad Shahabuddin from Siwan Jail, district Siwan in Bihar, to Tihar Jail, Delhi. The apex court also ordered that pending trials shall be conducted by video conferencing by the trial court concerned. A bench of Justice Dipak Misra and Justice Amitava Roy directed the State of Bihar to transfer the prisoner to the competent officer of Tihar Jail after giving prior intimation for his transfer in Delhi. The Bihar government and Centre earlier told the Supreme Court that it was not “averse” to shifting of controversial RJD leader Shahabuddin from Siwan jail to Tihar prison in Delhi to protect witnesses and ensure a fair trial in the pending cases but his counsel fiercely opposed the move. “Needless to say, that the authorities escorting the third respondent from Siwan Jail to Tihar Jail would strictly follow the rules applicable to the transit prisoners and no special privilege shall be extended. The transfer shall take place within a week hence. Thereafter, the trial in respect of pending trials shall be conducted by video conferencing by the concerned trial court,” the court said. The bench also directed that the competent authority in Tihar Jail and the competent authority of the State of Bihar to make all essential arrangements so that the accused and the witnesses would be available for the purpose of trial through video conferencing. “A copy of this order shall forthwith be communicated to the Home Secretary, Government of Bihar, Superintendent of Siwan Jail, and the Inspector General, Prisons, Tihar Jail, Delhi. All concerned are directed to act in aid of the aforesaid order as contemplated under Article 144 of the Constitution,” the order stated. The bench held that the Transfer of Prisoners Act 1950, does not create an impediment on the part the court to pass an order of transfer of an accused or a convict from one jail in a State to another prison in another State because it creates a bar on the exercise of power on the executive only. It observed that the court, in exercise of power under Article 142 of the Constitution, cannot curtail the fundamental rights of the citizens conferred under the Constitution and pass orders in violation of substantive provisions which are based on fundamental policy principles, yet when a case of the present nature arises, it may issue appropriate directions so that criminal trial is conducted in accordance with law. It is the obligation and duty of this court to ensure free and fair trial, it said.